Kaolin, Earth Spirit is a Sentinel strength hero added in v6.78 patch update. Earth Spirit is a unique concept semi-carry/support hero based entirely on precision skills (Meat Hook, Elune's arrow etc.). Earth Panda relies on Stones (innate skill) to make use of his other spells. He can smash stones/units with his 1st spell to damage and silence the opponents. His second spell turns him into a rolling boulder (like Tuskarr's Snowball) which helps in chasing/ganking heroes, it also deals a little damage and slow. The 3rd skill, Geomagnetic grip allows him to pull allied units and rocks to him, whoever crashes the pulled unit receives stun/damage. 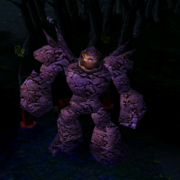 His ultimate provides a good DPS damage which can be renewed by putting Stones in its Area of Effect (AoE). Tip: This skill has great cast range, you can even cast it at places where you can't see (Fog). This skill uses 0 mana and will replenish every 25 second so keep spamming this skill everywhere!!! Tip: This skill can silence if you smash a rock. It can pass trees. You can also push enemy away when your teammate is fleeing. SAVE Him!. This can be use as combo with BloodSeeker's Rupture, same as force staff but with damage. 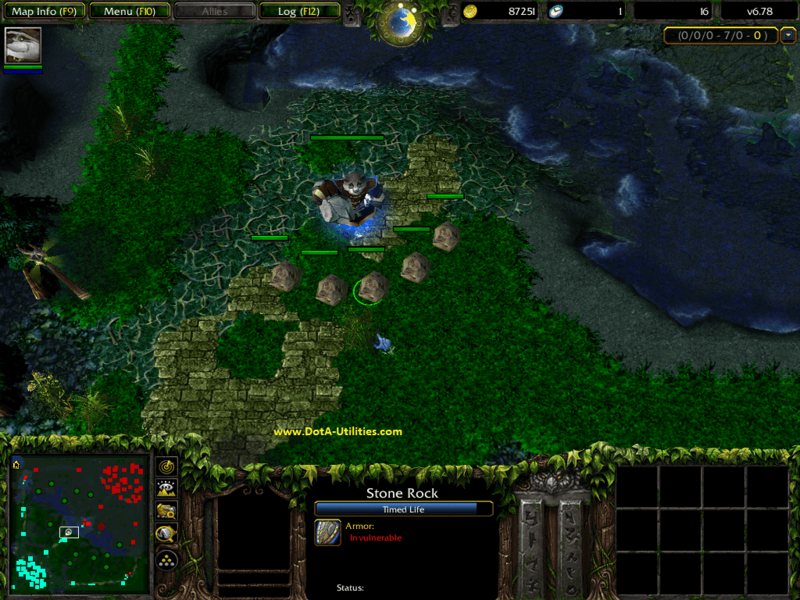 Tip: Since your innate has 1400 range, you can cast innate far and keep rolling to your rock. This skill has low cooldown, it can be used as escape mechanism. Rolling over rock make it impossible for your enemy to catch. You can also use this to catch fleeing opponent. Tip: Good for pulling your ally and saving his life. Tip: Cast this with rock nearby or else this skill is like completely useless. Use this wisely, it can affect many heroes at once. This guide is still in beta, You are free to post your item builds, strategies and tips using the comment section below! Sange n Yasha + basher is a nice build..
cant become a caster he got long cooldown on some skill...probably basher can be. Also vanguard. I used this hero and wow imba GODLIKE for less than a 20mins... SF 1v1 mid is owned by this hero.! I think icefrog should make some adjustment for this hero too unfair. Oracle is better! This hero very alike of xin. Slow regen rate. Item dependant. It's frustrating to go against this hero.. pulling allies away? and rolling to escape? and the rocks silences and stuns??? Come on.. Fix earth spirit please..
4. Cast Magnetize then wait for 5 seconds and put rocks beside your enemy heroes to repeat the 6 seconds damage per second of the skill. Repeat putting rocks until you don't have any rocks to throw. Rocks that explode disappear after 5 seconds so you could use it to roll towards the enemy for extra damage. 5. Finishing blow is the Boulder Smash. You could smash the enemy hero away or kick a stone towards the enemy hero. Just do this if you think he'll die from this skill or your Magnetize skill. i dont like yhe 2 hireos added its boring?? you need more mana of these hero kaolin;;What is the build item of that hero me i know?? tips:.. arcane first.. nxt dagon lvl till 5.. good killer against 2 heroes.. i can do 30 kills or 30 assist..or more.. you'll never regret it..
Lvl 8 and so on.. up to you.. if you want damage.. level 1st skill if you want support 3rd skill..
no oracle is the bast hero!! I feel proud of baing one of the few in my server able to use this hero properly. You can made tons of solo and team combos (hust to quote 1, Tiny throws panda, panda atracts tiny and the rest is just to kill the permanently stuned/muted/slowed opponent). Deppending on your playstile, any build may worl with this hero. No matter what style you play, the boot must be arcane, unless you rush for the bloodstone and then u pick travel so you can have some controll of the whole map (it also works to disarm the arcane to make the bloodstone). In this build you must be a mage with high resistence and a decent basic damage plus relatively high atk speed (like a storm spirit with much more hp), this way is the best to do solo kills, in wich you must max the second skill in order to do is every 6 secconds, making it easy to chase your foe. To this build you can also buy Battle Fury, S+Y, Assault and radiance, and after your hit rate and damage are high enough, cristalis (not buriza yet). And of course the final touch is terraske. This way, you will have a heavy hitter with a big amount of damage and 1 regular hero may be unable to defeat is on it's own (3k-5khp). And btw, orb efect for this buld is Maelstrom (in this case don't buy assault) or Dominator for further update to satanic. The second build is a carry/mage way: -Arcane Boot -Dagon (in late game, update it to dagon 2 or 3) -Orchid -Guinsoo -Shiva's, and at the end make it stronger with teraske. I recommend not having an orb effect for this build, and you should max skills 1 and 3 (at the same time) and have 1 level of skill 2 for fast moving or fast escape. You can also build a regular tank build, basically a centaur with range stun and mute (no dagger as you have the seccond skill). I personaly don't like this build because the real power of this hero are the skills. Vanguard-blade mail-hood-pipe-terraske, with an optional bloodstone. In any build, and deppending on your opponents, you can add a blade mail, bkb or something to protect/destroy a specific opponent, like you would do with any other hero. Why not use heart, vanguard, BKB, cranium bashar, and also tango and pass bots? Try it..
i prefer battle fury, basher, bureza, vanguard or cuirass, and maelstorm is good for him too..
if anyone ever says that this guy doesnt have a remnant skill, well, what's the name of his passive? Radiance, Veil of discord and dagon works really well with it's combo. when is another new hero coming???? wish its a long gamer.